Our kittens are raised indoors in our hectic household. Fur Babies are vet checked, micro chipped, desexed, vaccinated, wormed and flea treated. They come in a variety of colours and are very well socialized and adored. Located in Griffith and travel to Sydney often to shows. Breeding for type and temperament. These gentle giants are very good with children and a loving addition to any family. They are well suited for indoor living in homes and units. Available Colours are: Blue, Black, Cream, Blue/Cream, Bi-Colour and Tri-Colours. Situated on the Central Coast, 45 minutes north of Hornsby. I am situated on the Central Coast at Kincumber NSW. These gentle giants are very good with children and a loving addition to any family. They are well suited for indoor living in homes and units. 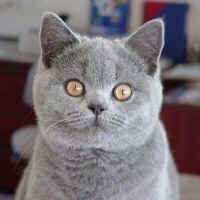 I Breed the Solid Blues ALL of my cats are PKD free and are Blood Grouped. 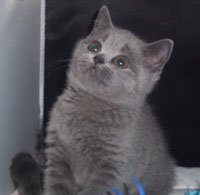 Specializing in solid Blue and the unique and stunning black Silver ( classic) Tabby. 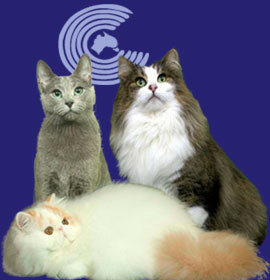 Breeding healthy beautiful kittens with excellent bloodlines and temperament. Our cattery is PDK free and all kittens are sold vet checked, desexed, vaccinated, wormed and microchipped.